Novel neurotechnologies, such as brain-computer interfaces (BCI), are generating significant scientific and popular interest. A certain BCI technology, neurofeedback (NF), is increasingly used for managing the symptoms of many conditions, most notably attention deficit hyperactivity disorder (ADHD). Although growing evidence suggests that the method is promising, there is no consensus in the scientific literature about its efficacy, and different sources offer contradictory evaluations. Although neurofeedback has received comparatively little scholarly attention from ethicists, it presents numerous dilemmas that warrant consideration. While the method is already widely used and its acceptability can be expected to grow, the precise mechanism of action and possible adverse effects of neurofeedback are poorly understood at present. 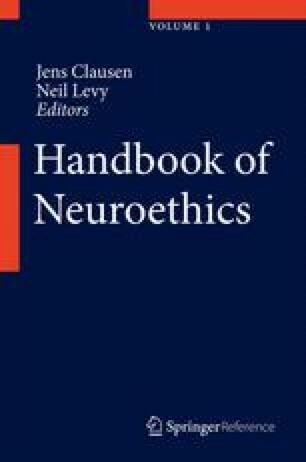 The current regulatory landscape of neurofeedback devices seems inadequate, and in particular, the growing commercialization of BCIs and lack of oversight over EEG-based toys and games present a challenge for neuroethical analysis. After a brief discussion of ADHD, and the emergence of neurofeedback, this chapter provides an overview of assessments of NF’s efficacy and a brief survey of some of the ethical and social aspects of the method for pediatric ADHD. The questions covered include adverse effects, regulation, responsible communication, identity considerations, and the enhancement use of BCIs. World Medical Association. (2000). The declaration of Helsinki. 52nd WMA General Assembly, Edinburgh, Scotland. Retrieved from http://www.wma.net. WWK. (2008). What we know: AD/HD and neurofeedback: A review of eight studies by the National Resource Center on AD/HD. http://www.help4adhd.org/documents/neurofeedback_8_study_review.pdf.